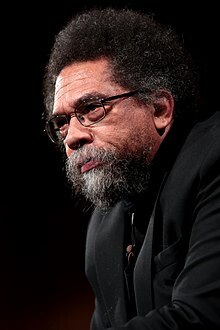 Cornel Ronald West (born 1953) is an American philosopher, political activist, social critic, author, and public intellectual. The son of a Baptist minister, West focuses on the role of race, gender, and class in American society and the means by which people act and react to their "radical conditionedness". A radical democrat and democratic socialist, West draws intellectual contributions from multiple traditions, including Christianity, the black church, Marxism, neopragmatism, and transcendentalism. Among his most influential books are Race Matters (1994) and Democracy Matters (2004). Dr. West once again put his support behind Bernie Sanders' 2020 campaign in a passionate speech in South Carolina. This page was last edited on 23 April 2019, at 13:19 (UTC).